Despite general low prices for red roses in Europe and the USA (which is normal for the time period between Valentines and Mother Day), the market still seems to be responding to special varieties. 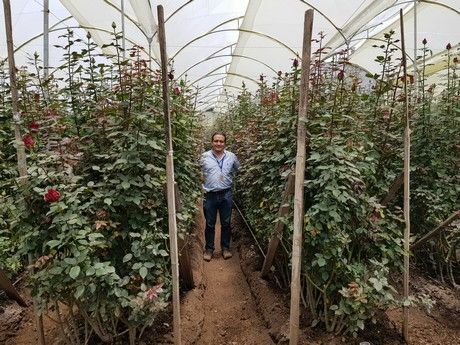 “These varieties that have not saturated the market’s demand, and are iconic due to their form, quality, and vase life are generating a stable higher price”, explains Aviram Krell of Plantec Ecuador, a rose breeder representative and Propagator. 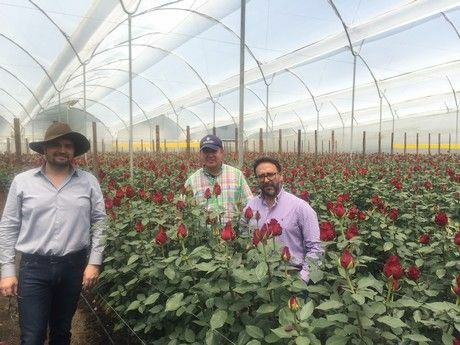 Franco Abarca (Technical Manager), Ross Johnson (General Manager) of RosaPrima with Diego Granja (Sales Representative Plantec), standing in front of their fields of Explorer. Jaap Flowers, who also grows Explorer. Flowers prices are very dependent upon demand and supply. For this reason, Plantec was quite worried that the additional Explorer plants, that were planted in 2017, would result in an oversupply and price drop in turn. However, this does not seems to be the case. 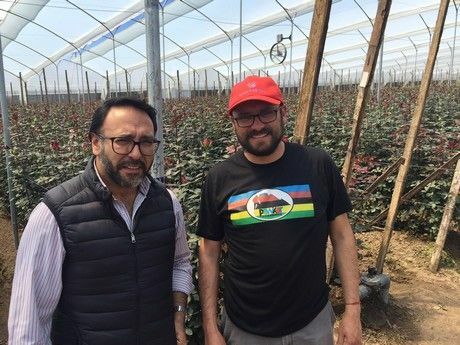 “We are seeing that this only served to position the variety in a more secure position as a premium rose world-wide”, says Krell. Santiago Andrade (General Manager) of Flores Verdes, who is growing Explorer as well.